Give to the Max day was launched by GiveMN to help generate giving and community spirit. It has become an annual tradition in which thousand of people donate in the spirit of improving communities around the world! 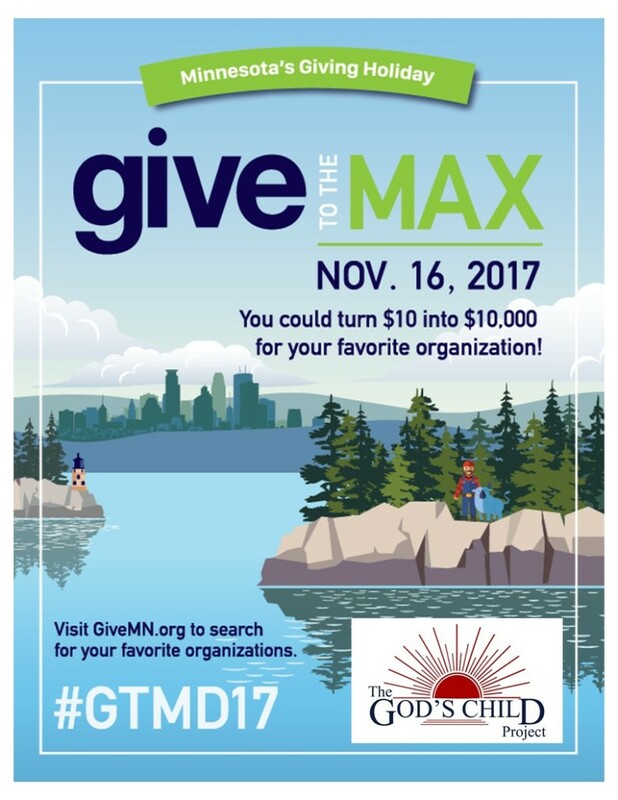 Support all of the kids, mothers, babies and families of The GOD’S CHILD Project by joining us on Give to the Max Day on Thursday, November 16, 2017! On November 16, every donation will be entered into an hourly drawing for $1,000! At the end of the day, one donation will be worth $10,000!! !